As far as mom jeans go, I find them a very versatile style. You can dress them or down, so with this first outfit, I decided to put together something that was really casual. This outfit is just that, merely a tie-dye that I made myself and the jeans. It's something you could throw on for college or even just going out and about running errands. What I was particularly happy about was the fact that the bright orange of the tie-dye matches the flowers on the jeans. To add a little bit of edge and to finish the outfit I paired my creepers with it. Altogether, I think it looks something that looks put together, despite being very simple. You could just as easily wear a pair white t-shirt or even a striped Breton long sleeved top - whatever takes your fancy. The aim is to highlight the unique shape of the jeans and tucking in the t-shirt does just that. This is something I would definitely wear. This second look takes me slightly away from what I'm used to wearing. Having part of my stomach on show isn't the option I'd immediately go for. But the fact that the waistline of mom jeans tends to be higher than a regular pair of jeans makes this outfit more viable for me. The bralet gives the outfit a little bit of edge, in my opinion and you could also wear a black bralet instead of the white. To finish off you could pair this outfit with a nice bomber jacket or plaid shirt. I generally don't wear heels, so the next best thing for me was a pair of heeled boots from Penneys. But if you do wear heels, a killer pair of strappy heels might be an option. If I were to wear this out, I'd wear it to somewhere that I know would get extremely warm, there's nothing worse than being overdressed on a night out. As a whole, this outfit challenges me to try new things and encourages me to show a little more skin than I normally would. I was inspired by the effortless style of French women, who always look put together. The French stereotype of stripes is obviously over done but I personally love stripes! If I had to pick my favourite outfit from the three I've shown you here, it would have to be this one. Obviously, mine isn't as dainty as French style because I have got a big massive bull horn choker, but you could accessorize with a nice little pendant if you wanted to be more classical. My blouse is cotton, but if you wanted to make this look a bit fancier, a silk blouse would be just as lovely. I wore my black boots with a tiny heel, but a nice pair of flat Chelsea boots if you wanted to make this look more casual or vice versa, heels again. I was amazed at the versatility of mom jeans when I first came into contact with this style of jeans, I only associated it with a 90's look! But it's so easy to modernize mom jeans and create a look that screams 2017! You've endless possibilities when it comes to styling an outfit around mom jeans. If you have any tips for me on how to style mom jeans a different way, be sure to leave a comment! 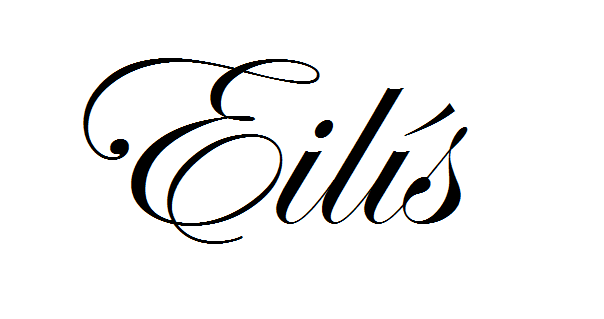 Eilís this is so fabulous! I especially love the tie dye t shirt �� And the background you chose is so fab, you should definitely do more of these!! I like these three looks and my favourite one is the french style one you put together. I like the idea of the prim blouse with the jeans...very chic! Thanks so much for reading Kathryn, that happens to be my favourite outfit of the three too!